I have always wondered why snuff, at least in my experience, behaves differently than other forms of tobacco and routes of administration when it comes to delivery and effects from nicotine. When I first started taking snuff I had extensive experience with cigarettes, pipe tobacco, and all forms of chew/dip. All of those forms of tobacco seemed to work relatively the same way in that the more of it and the stronger it is the more I would experience a stimulant effect. This being anywhere on the spectrum from mildly alert to heart pounding sweaty hands knocking on deaths door lol. Snuff however, many of my first times taking it I found no effect from nicotine whatsoever. I tried stronger snuffs and I tried changing my snuffing technique. I tried first thing in the morning making sure I had no other forms of tobacco first. Nothing. It was not until I dropped other forms of tobacco completely and just kept snuffing that, all of a sudden, the nicotine began to work, REALLY work. 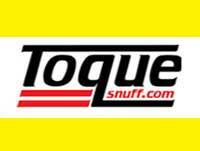 Now, snuff is my exclusive means of using tobacco and obtaining nicotine and it works perfectly. I can fine tune the snuff to my current nicotine desires, snuffs for bringing me up to desired alertness, sniffs for maintaining that without over doing the accumulative nicotine dose, and ones that are purely for enjoying aromas without any significant effect from nicotine. What's even stranger is that there are many times where even a strong snuff, depending on my mood, will have a sedative effect rather than acting as a stimulant. And times where a snuff I knew to be mild to moderate on the nicotine scale achieves a full on rousing effect. I have dabbled in to the science of this and understand a bit about how nicotine addiction can be such that nicotine will act as both a depressant and stimulant depending on ones mood, but does anyone have any knowledge or a similar experience with how snuff seems to behave as such a nicotine chameleon if you will? I think that when you lower your nic. tolerance you can experience more pronounced effects from smaller doses. Do not forget that the nicotine is not the only one active substance in tobacco. There are also other compounds so called WTA - whole tobacco alkaloids. I believe you are right which is why i think sometimes that vapes are not effective for everybody as you are not getting those alkaloids on top of the nicotine. Lowering my nicotine tolerance is something I intentionally did when I transitioned early this year to snuff only. Before I was an avid pipe smoker and enjoyed chew more often that not at work as I work outdoors and with my hands. In transitioning to snuff I forced myself to go several days without tobacco before picking back up with snuff and I think that did wonders. Now I don't even worry too much about nicotine and just enjoy my snuff at whatever intervals are available or take my fancy during the day. I also feel like the lift from snuff is so much more clean and pure than the buzz derived from American dip and especially cigarettes although I primarily smoked supposedly organic additive free RYO when I used to smoke cigs. I do still miss the pipe tobacco, but for the health of my baby daughters who were born with minor lung issues I can not afford to be a source of smoke even if I didnt feel that pipe smoking was hurting me personally (looking back I am sure it was). I definitely notice a difference in the gym and on the hiking trail now that I have switched to snuff. It's funny how removing things even for a short time from your daily intake such as smoke and dip let you know exactly how much they were harming you. Snuff is my all day every day. But man, dip and snus are just tops. I think because that was my main way of enjoying tobacco for the longest is the reason I feel like that, smokers probably feel the same about cigarettes. I just snuff for harm reduction, even though it's great. Funny, these days, when I smoke a pipe, I often stop to take a pinch. It's like I'm not quite getting what I need from the pipe, although I enjoy its flavor and the experience of it. But doing it less and less at the moment, my cigar smoking mate has been off on an assignment in Tanzania, so no rooftop hangouts for the past few months. As a former moderate smoker, I find that snuff affects me in a manner similar to that of a cigarette. Most particularly, snuffs like WE Garrett, give me an almost immediate nicotine rush. After 13 years of no cigs, I credit snuff with my success. For me anyway, using snuff to quit cigarettes I didn't notice barely any effects from my first snuff McChystals O&G. Although after committing to snuffing after a few days I was getting head spins from McC's O&G. I summed this up to be because the cumulative effects of nicotine from snuff. I was smoking at least a cigarette an hour (rolling tobacco, Golden Virginia) and in the evenings sometimes 3, although after a few days of snuffing it seemed that I was getting much more nicotine into my bloodstream than the ciggies. Even though cigarettes gave me an initial nicotine buzz this went away after 10 minutes and felt like another one at the 20 to 30 minute mark. I managed to give up after slowly weaning over to snuff although by the end of this process a cigarette in the evening did barely anything for me. Congrats on quitting smoking Aamon and everyone else. Luckily I've never had a cigarette habit. I've been smoking a pipe and cigars since I was 18 though. I like the quick pick me up with snuff and I enjoy the scents. For me it was a little different. I didnt feel any nicotine at all ftom any snuff. Thats why I never put nic content into my old snuff reviews. 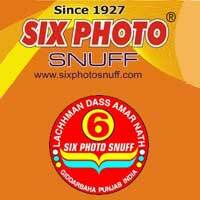 Somehow though, indian snuffs opened my nose to nicotine, and now I feel nic in most snuffs. Kinda funny actually; I took too much Dholakia, felt a lot of nic. Took a break from snuff...then went with some english snuffs and VOILA!!! (!!!!!!!!!!) I got nic from em. I think my nose needed some sort of kickstart to start absorbing nic tbh. Same as @Rogue for me. Indians were the only ones at first to really satisfy my nicotine cravings without chain pinching every 5 minutes. But once I adjusted and started craving snuff over cigarettes, even something like Poschl would tide me over for a short while. Though it may be partially psycological. I also found this @DTOM7476, when I used to snuff as a teen it really didn't do anything for me nicotine wise, whereas the cigs and pipe worked wonders. It seems to me that it does take a bit of time to "break in" your nose to snuff, and when you do -- bam bam shabam snuff becomes your mistress. The abstract of this article: https://www.bmj.com/content/283/6295/814 suggests the same, saying that nicotine plasma levels didn't budge much for first time snuffers but went way high for the every day sort. Interestingly this is the same article that got all the tax lifted from snuff in the UK so hazzar to it! I think a big part of that effect is technique. I think there is more going on then that. When I finally figured out how to snuff properly my nose got less clogged and my buzz went way up. In fact when I smoke a cig I don't feel anything but unhealthy and snuff sometimes gives me a real big nicotine buzz. @schmalzlerfranzl have you tried MG Madras, Cheetah, Toque USA Whiskey and Honey, or White Elephant? Those and a couple of others are the only snuffs I get a nicotine hit from. If there are others of similar strength, someone chime in, please! Getting a nic hit can be nice in the morning or when fatigued. Delivery somewhat depends on a size of the pinch, too. But some snuffs are just stronger. Whereas small pinches of Sammy's listed snuffs always do the proper job, you might want to take larger pinches of moister and coarser ones, like Neftobak, Taxi Red, NTSU Black, to get the same lift. Those three should be snorted, and snorted really hard for the best effect. Despite my tolerance, I had to prop myself against a wall for a moment after taking unusually big pile of MG Madras yesterday. The mighty Neftobak helped me to switch back to snuff from snus and makla and simultaneously quit smoking and vaping in the most pleasant way. I still enjoy a prilla at times, but neither snus nor makla is in my daily rotation anymore. Don't miss smoke at all. @SammyD13, Cheeta Gul. Beautiful absolutely plain snuff. Similar to the OP, I've never felt the effects of nicotine from any snuff. Tried Toque Rustia, NTSU black, American scotches, all to no avail. I still enjoy the scents, however. Have yet to try Indian snuff. Viking Dark used to make my head spin - I prefer medium strength, generally. I would class Wilson's 22 as a medium, and it's what I take 99% of the time. I'm still in the state where snuff can satisfy the nicotine cravings for the most part, but only if I'm sitting down and shoving snuff up my nose every five minutes. I usually use snus or smoke, and like you said, the delivery of nicotine using those methods seems to be much swifter and with more noticeable effect. Maybe the reason snuff started to have an effect on you only after you quit other forms of tobacco is because your nicotine tolerance decreased. I'm not sure. As for the other thing you mentioned about nicotine having these "chameleon" like effects, as far as I know snuff is not special in that regard. Nicotine has a very strange way of healing you where you feel you need it. It can help sharpen your mind if you feel cloudy, it is a stimulant in that respect. It can also act as a relaxant, helping calm your nerves when you are anxious or uneasy. Maybe the slow release of the nicotine present in snuff is the reason why you can more finely tune your dosage for a particular experience. Taking too much nicotine at once completely destroys any relaxing properties of tobacco, and you end up shaking and needing to lay down.